Ontario’s top young prospects are suiting up for their respective minor hockey associations at the 2018 OHL Gold Cup taking place at the Activa Sportsplex in Kitchener this weekend. Of the 160 players competing at the event, 130 were chosen in April’s OHL Priority Selection, representing approximately 81% of the young athletes taking the ice at the annual event that runs from Thursday through Sunday. 44 players from the 2017 OHL Gold Cup were invited to the Hockey Canada Under-17 National Camp, with 23 players from the event cracking Team Canada White, Red and Black rosters last November. Brad McEwen, Hockey Canada’s head scout for the men’s Program of Excellence, will lead player selection for both the summer camp and three national Under-17 teams, with assistance from regional scouts that include Ontario’s Darrell Woodley and Barclay Branch. A total of 19 first round selections will compete, including first overall pick Quinton Byfield (Sudbury Wolves), second overall pick Evan Vierling (Flint Firebirds) and third overall pick Will Cuylle (Peterborough Petes). Exceptional performances at past OHL Gold Cup tournaments have provided a glimpse of what a player is capable of further on in his career. Several future OHL standouts have made strong impressions at the event. 2014 OHL Gold Cup top scorer William Bitten enjoyed a solid campaign with the Hamilton Bulldogs this past season. 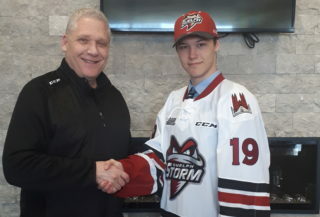 The seventh overall pick in the 2014 OHL Priority Selection, Bitten scored six goals, five assists and 11 points in five games for Team HEO in the 2014 OHL Gold Cup. 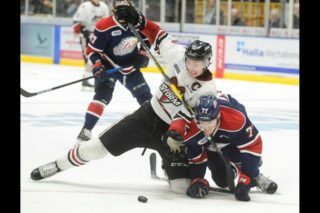 Currently competing in the Rogers OHL Championship Series, Bitten registered 20 goals, 44 assists and 64 points in 62 games with Hamilton this past season. Erie Otters forward Kyle Maksimovich enjoyed a successful 2014 OHL Gold Cup, finishing the tournament with four goals, three assists and seven points in five games. The Toronto Marlboros Minor Midget graduate provided Team GTHL Blue with a timely overtime winner in the tournament as he helped lead his team to a second place finish. Maksimovich led the Otters in scoring this past season, scoring 31 goals, 35 assists and 66 points in 65 games. The 2015 OHL Gold Cup showcased a pair of talented present day OHL stars. 2018 draft eligible defenceman Evan Bouchard (London Knights) led the tournament in scoring with 11 points (5-6–11) in five games, six of which came in Team OMHA White’s final game of the tournament. Talented Los Angeles Kings prospect Gabriel Vilardi (Kingston Frontenacs) and speedy centre Brett Neumann (Kingston Frontenacs) were also top performers, each registering nine points in the showcase. Goaltender Jake McGrath (Sudbury Wolves) would backstop Team GTHL Blue to a 6-2 Championship Final victory over Team ALLIANCE. Team GTHL Blue was crowned OHL Gold Cup Champions for the second straight year in 2016, taking a 6-1 win over Team ALLIANCE in the Championship Final. Akil Thomas (Niagara IceDogs) led the way with two goals and an assist while Riley Damiani (Kitchener Rangers) pitched in with a pair of assists. Thomas led the 2016 event in scoring with 11 points including six goals and five assists in five contests. 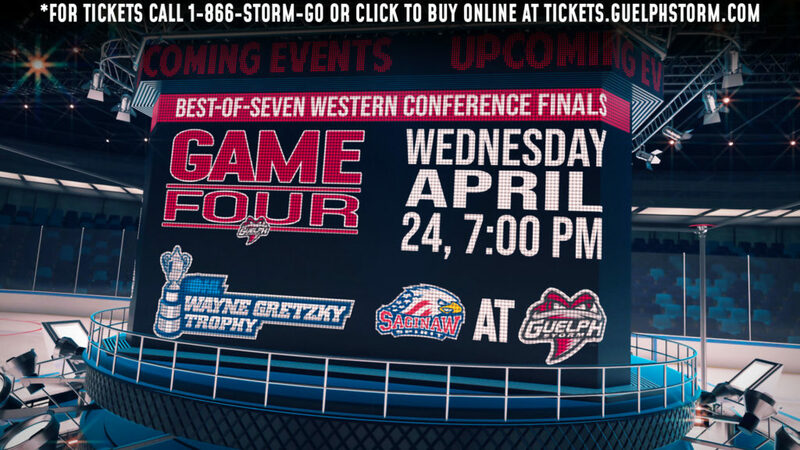 Fellow first round OHL Priority Selection choice Allan McShane (Oshawa Generals) finished second in tournament scoring with nine points (6-3–9) while 2017 first overall pick Ryan Merkley (Guelph Storm) led all defencemen with eight points (1-7–8). In goal, OMHA Black goaltender Blair Coffin (Sarnia Sting) led netminders with a 0.81 goals-against average and a .969 save percentage over 147 minutes played. GTHL Red won it all in last year’s OHL Gold Cup. OHL Cup Champion Jamieson Rees (Sarnia Sting) scored the game winner, leading his club to victory over OMHA Black by a score of 3-1. Philip Tomasino (Niagara IceDogs) of GTHL Blue led the tournament in scoring with 10 points while teammate Nicholas Porco (Saginaw Spirit) came in second with eight. In goal, Kingston Frontenacs prospect Ryan Dugas of GTHL Red led all netminders with three wins and was among the event leaders in goals-against average (1.67) and save percentage (.934). The GTHL looks to win its fourth straight title this year when the event gets underway on Thursday afternoon. Live streaming available at hockeytv.com. 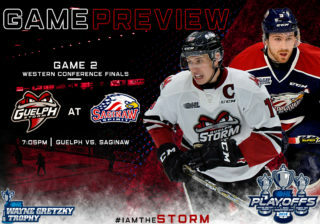 For more information, please visit www.ohlgoldcup.com or follow on Twitter at www.twitter.com/OHLGoldCup.